BEIJING - China launched its first ever extraterrestrial landing craft into orbit en route for the moon in the small hours of Monday, in a major milestone for its space program. 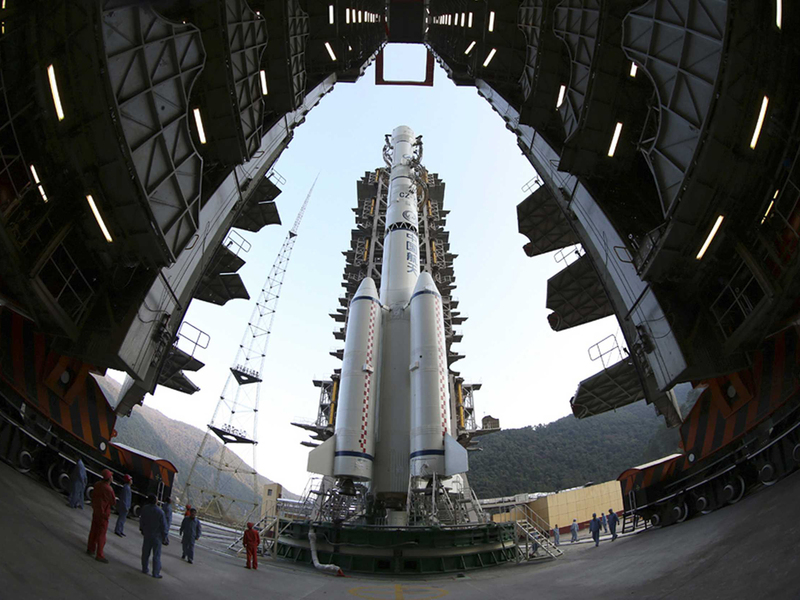 The Chang'e-3 lunar probe, which includes the Yutu or Jade Rabbit buggy, blasted off on board an enhanced Long March-3B carrier rocket from the Xichang Satellite Launch Center in China's southwestern Sichuan province at 1:30 a.m. local time (1730 GMT). President Xi Jinping has said he wants China to establish itself as a space superpower, and the mission has inspired widespread pride in China's growing technological prowess. State television showed a live broadcast of the rocket lifting off. The lunar buggy was named the Jade Rabbit in a public vote, a folkloric reference to the goddess' pet.